With a stay at AEA The Coogee View Serviced Apartments in Coogee (Sydney Eastern Suburbs), you'll be a 1-minute drive from Coogee Beach and 5 minutes from Clovelly Beach. 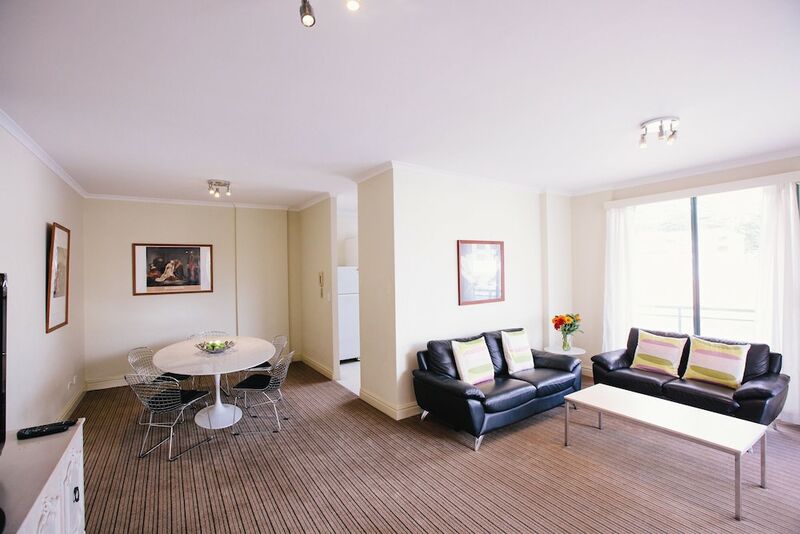 This 4.5-star apartment is 3.2 mi (5.1 km) from Bondi Beach and 5 mi (8.1 km) from Capitol Theatre. Make yourself at home in one of the 19 air-conditioned rooms featuring kitchens with full-sized refrigerators/freezers and stovetops. Your room comes with a pillowtop bed. Rooms have private balconies or patios. LCD televisions with cable programming provide entertainment, while complimentary wireless Internet access keeps you connected. Pamper yourself with onsite body treatments and facials.